whsh4u.com Review 2019: Is whsh4u.com a Good Hosting? WHSH4U is a domain registration, web radio hosting and video streaming service provider based in Germany. Over 4,500 customers use their services because they provide cheap hosting and streaming solutions in addition to excellent customer support. Based in Germany, WHSH4U is a technology company that specializes in domain registrations, VPS hosting, and audio streaming solutions. Over the years they’ve positioned themselves as the best streaming and web hosting provider with over 4,500 clients plugged to their servers. When you sign up with WHSH4U, you will get access to the following features. WHSH4U supports two type of streaming and ICEcast. Both of them have a matching price and similar features except that they use different technologies. From their respective panels, you can host live web radio shows, record and save songs in mp3, view listeners and do much more. Overall, their website and admin panel in particular is easy-to-use. 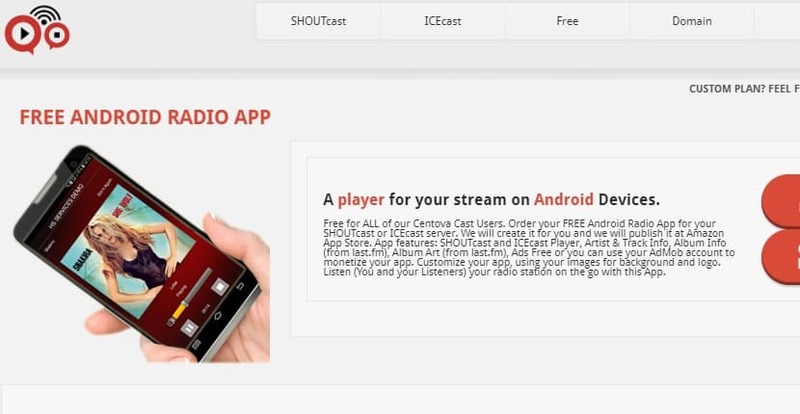 Shoutast provides each customer who orders Centova Cast with a free android app. Not only do they create the app for you but they also publish it on the Amazon app store. The app includes and ICEcast players, Artist and Track info, Album Info, and Album. Once you sign up, you customize the logo of your app and the background andeven monetize it. Other than the android app, I was also impressed by the free Flash & HTML5 player that also comes free with their Centova Cast. The player is responsive and will work well on bothdesktop websites or mobile versions. You can insert your own logo for complete ownership. Artist and Track info as well as the album art is also included. With all this free stuff, it is no wonder that WHSH4U has been able to attract so many clients. Compared to the available alternatives, WHSH4U has one of the best prices for their audio hosting and streaming services. Their admin panel is packed with nice features that make hosting with them worth every penny. Customers can sign up and pay for their subscription conveniently via PayPal, MasterCard, VISA and American Express. One of the things that I like about WHSH4U is they have a solid knowledge base with great tutorials. So, if you are a DIY guy, you will have a chance to learn at your own pace. In case you need help, contact their 24/7 dedicated customer support team on phone or via their online ticketing system between Mon – Fri, 07:00 – 13:00 GMT. With excellent customer support and superfast servers, WHSH4U is one of the cheapest and most dependable streaming services in the market. Wondering how whsh4u.com stacks up against other Web Hosting companies? Enter any other Web Hosting company and we will give you a side-by-side comparison.